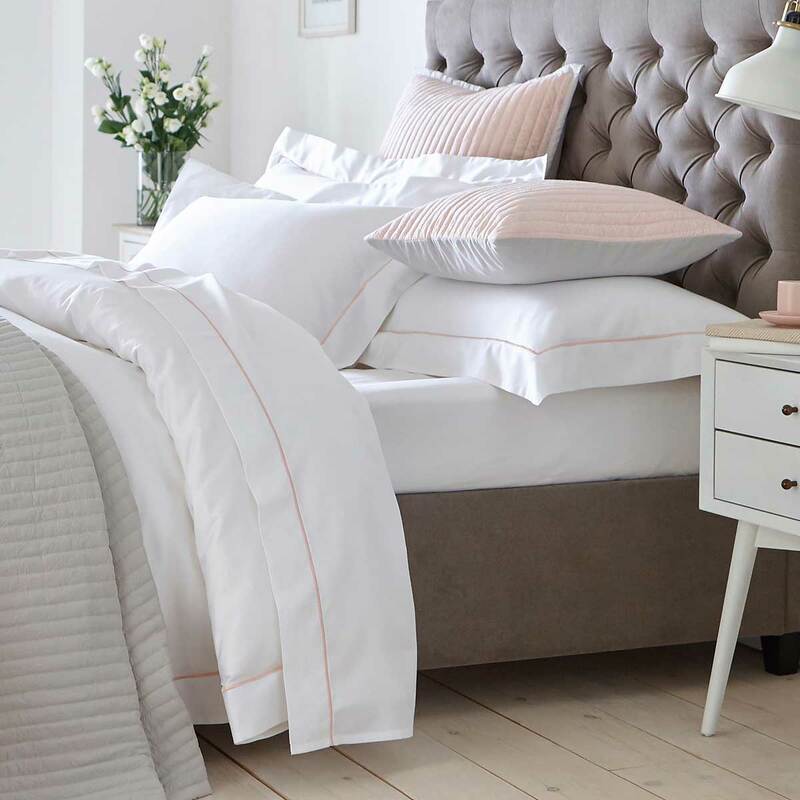 Achieve the definitive hotel elegance at home with the sumptuous softness and sheen of our smooth 400 thread count superior cotton sateen. It will effortlessly help you to achieve the desired look and is a dream to sleep in. 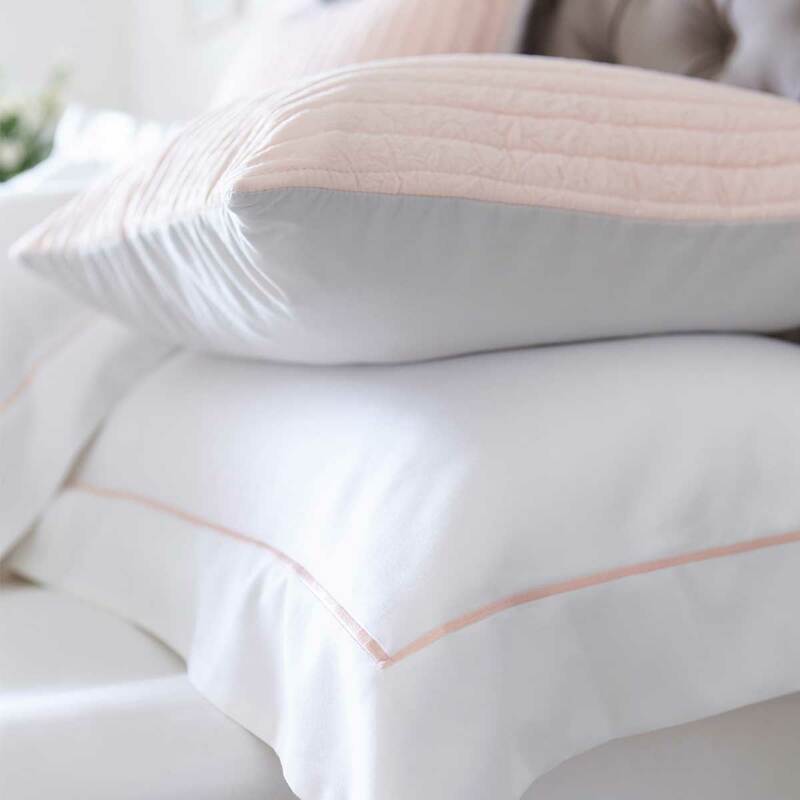 The bright white sheets are finished with an exquisite single row of densely stitched cord in a choice of colours; white, grey, pink, navy blue and light blue. It is the ultimate in timeless design and superior quality. Available in sizes; double, king size and super king and finished off with a button fastening. A duvet and pillowcase set includes one duvet cover and one pair of standard oxford pillowcases. The super king set includes super king oxford pillowcases.